Among a diversity of automobiles in the Suzuki’s pool, the Vitara happens to be the most expensive one. It is priced at around 3.5 million rupees, i.e. more than 4 times the price of Mehran – an economical four-wheeler from the same automaker. Challenging, thrilling, effortless, adventurous and enjoyable are a few of the adjectives that define the stature of Vitara as a high-end sports utility vehicle (SUV). What makes Vitara a ‘game changer’ SUV in the country is its performance-yielding machine, comfort-yielding interior, six speed automatic transmission, high power generation, fast air conditioning, excellent mileage, and a strong, crash resistant body. 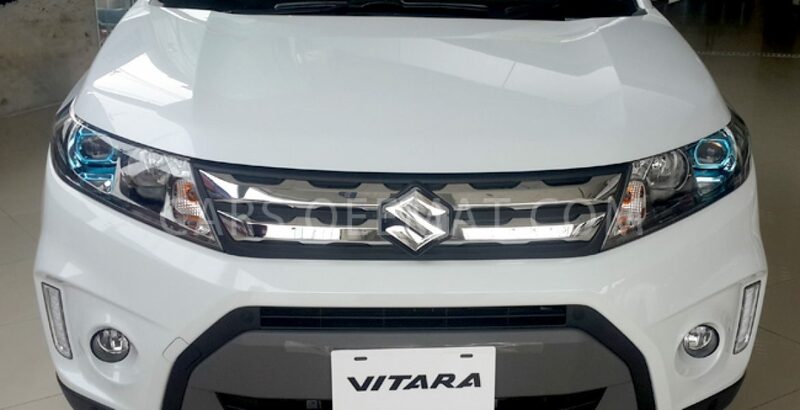 Above all, the Suzuki Vitara 2019 price in Pakistan has been kept relatively low as compared with that of the competitors from the rival brands. Meanwhile, the comfort level of the Vitara is also unquestionable. Read on to learn about the Vitara variants and specs in a bit detail. The adventure-inspiring Vitara is available in two major variants – the basic GL+ and the high-end GLX. And there is a big gap of around 3 lakh rupees between the price of the two. The best among all the Suzukis available in Pakistan (Swift, Cultus, Ciaz, Gimny, Cargo Van, Bolan, Ravi Pickup, Mega Carry, APV, Wagon R and Mehran), Vitara is a celebrated and favorite sport utility vehicle among the elite. 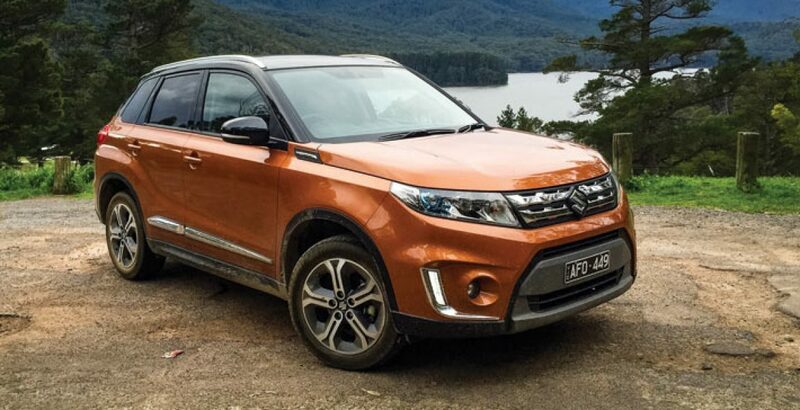 Vitara’s greatness as a modern SUV emerges from several factors, including the design, the power, comfort, the power and ease of handling, durability and the upper-end tech-enrichment. Cruise Control: The intelligent cruise control system of the vehicle maintains the speed of the vehicle as set by the driver by pressing the switch.It can maintain any pre-set speed between 45 and 100 kilometers per hours. So, the driver doesn’t need to keep on pressing the accelerator pedal to run at a constant speed. Over 10” Infotainment System: Boasting high tech standards, the dashboard also features a 10.1-inch large infotainment system which is touch enabled and supports both iOS and Android. So, all the adventurers can keep themselves entertained all the way round. Automatic Wipers & Lights: As the very name implies, the automatic wipers can turn themselves automatically on or off in accordance with the quantity of the rainfall and the speed of the vehicle. In the same way, the automatic lights system can turn the headlamps and tail lamps on or off in accordance with the level of brightness in the surroundings. All Grip 4WD: The all grip 4WD of the sports utility vehicle offers as many as four driver-selectable modes, including Auto, Sport, Snow and Lock. As desired, any of these modes can be turned on or off with utmost ease using a push-and-turn dial on the center console. ESP Side Skidding Control: The ESP system of Vitara is actually a safety tool which has been empowered to control side skidding. When the driver turns the steering wheel sharply on a slippery road, the ESP automatically detects the wheel-slip and suppresses it by effecting control over the brakes and the engine torque. Moreover, it also helps the driver stay in the directional control. Tilt & Telescopic Steering: Vitara’s steering wheel supports around 40mm of tilt adjustment and 36mm of the telescopic adjustment. So, by making use of these functionalities and the seat height adjuster, the drivers can fine-tune their own driving position corresponding to their physique. Paddle Shift: Though the SUV supports an advanced 6-speed automatic transmission system, the paddle shift is provided as an optional tool. Using the paddle shifts installed behind the steering wheel, you can easily and quickly change the gears to make driving sportier and more enjoyable. ABS, EBD & Airbags: The ABS, EBD and airbags are all the sophisticated measures for the safety of the passengers. To provide the travelers with unmatched safety, as many as 8 air bags have been installed in the interior of the vehicle. The electronic brake force distribution (EBD) mechanism helps the driver maintain control of the vehicle by sending the optimum amount of force to the front and rear wheels and the ABS system prevents tyres from locking up in case of emergency braking. Panoramic Sunroof: Consisting of two glass panels which are locate done in front of the other, the panoramic sunroof offers an easy and beautified view of the surrounding scenery. As the glass panel can slide over lappingly, they do not affect the cabin or carrier space. Other Tech: An addition to the above-mentioned specs, there are several other features which add to the overall worth of the car and justify the Suzuki Vitara 2019 price in Pakistan. Though Vitara is an elite vehicle for the elite class individuals, its price is considerably low in comparison with that of its rivals in the market. 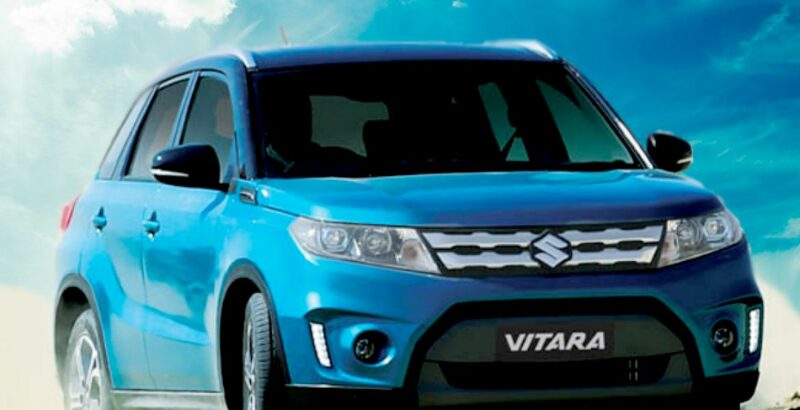 And you can rely on Vitara as it is a product from the celebrated Suzuki brand. 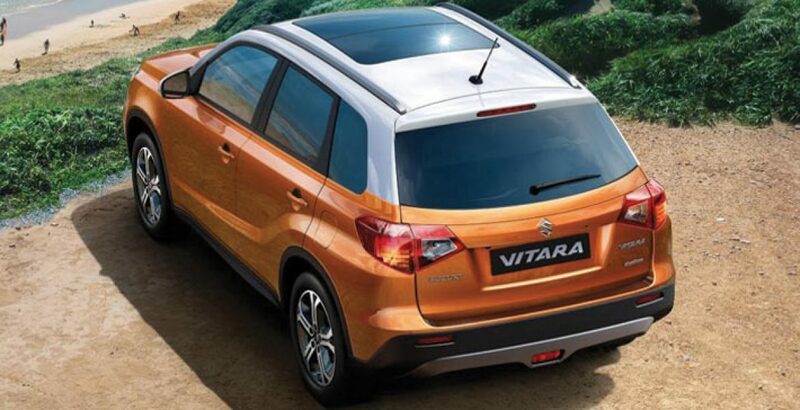 The major competitors of Vitara include Honda HR-V, Honda Vezel, Audi Q2, BMW X1 and Toyota CH-R.
Just compare Suzuki’s Vitara with Honda’s HR-V for price and you will come across a big gap of over 10 lac rupees, thus making the latter (HR-V) much costlier. Similarly, the Audi Q2 is even more costlier with its price tag reading over 61 lac rupees!